Lincoln Park is SMART® (Start Making A Reader Today) school! SMART is a wonderful program that helps students develop literacy skills, a love of reading and self confidence. At SMART’s heart are the volunteers who give their time to read with children. Volunteer to read for one hour per week with SMART at Lincoln Park! As a SMART volunteer, you’ll read one-on-one with kindergarten through third-grade students from mid-October through mid-May. The consistent, one-on-one time helps build literacy skills and self-confidence. 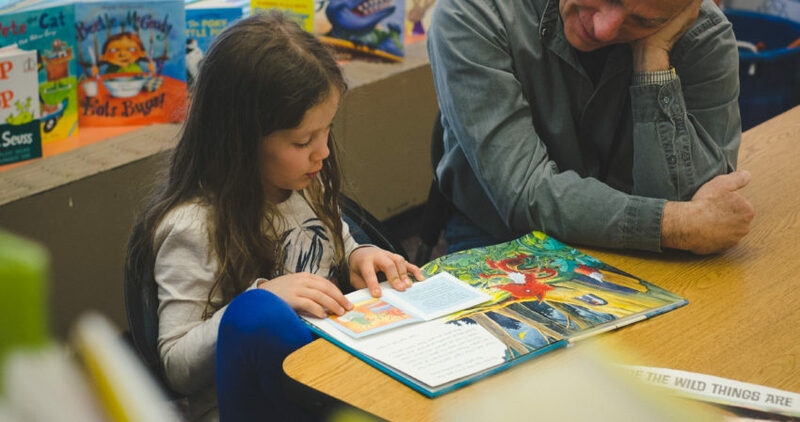 SMART is fun and further encourages children to read outside the classroom by giving students new books each month to take home and keep. We are looking for volunteers; reading times are available on Wednesday or Friday afternoons! Visit www.getsmartoregon.org or call 971-634-1603 to sign up to be one of our SMART volunteers.